I have been in caregiver mode for sometime now – last year when my husband was recovering from knee replacement surgery and now with my two aging parents. 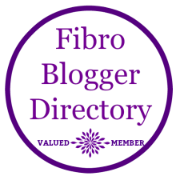 I am someone who tries to do everything right to avoid those nasty and debilitating “fibro flares.” I work out daily, I keep a gratitude journal, I eat right, and I minimize my stress. But sometimes the fibro-Gods have other plans. Adrenaline and healthy practices will only get you so far. The burden of worrying about and caring for someone, taking on the extra household chores, and general stress of such situations can affect the healthiest of people. Did I mention stress is a major trigger of fibromyalgia? Caregiving takes many forms, from parents caring for a newborn to a spouse or child caring for a loved one with an illness, recovering from a surgery, or experiencing a chronic or terminal condition. The patients’ needs become primary over your own. Add to that all of the extra chores around the house that you might be burdened with now, and the stress can multiply. So what can you do to cope and maintain that ability to bounce back quickly from a fibro-flare or just flat out exhaustion? Just as you cannot drink from an empty cup, if you are mentally and physically drained, you cannot provide optimum care to your loved one. We all need a little TLC, even if it’s in the form of self-care! You cannot feel guilty for taking care of you. You need all of the energy and strength you can get to take care of someone else while suffering a flare or chronic pain. There are probably extra chores you are now burdened with, so without a good strategy for getting everything done, you will run yourself ragged or run out of milk! You need to keep up that smile both for you and the patient. Encourage them. Talk to them. Be grateful that you are both alive and spending time together. A positive attitude will help you both – the patient will recover faster and you will bounce back quicker. And certainly don’t make them feel guilty for your flare or exhaustion! You can’t take care of someone else if you aren’t well rested. I know it’s tempting to run that extra load of laundry while they are napping, but it might be more useful to nap when they nap. Make sure you’re getting a good night’s sleep. You might be awakened in the middle of the night, so try to be “present” and aware, and not overly medicated. …as much as possible. Don’t abandon your daily routine, just adapt it where necessary. Can’t get out for a 30 minute walk? How about a 30 minute YouTube video? Leslie Sansone has some “Walk Away the Pounds” videos posted. Or my favorites are “The Balanced Life” pilates or “Yoga with Adriene” videos on YouTube. Working and shopping from home make it easy to do those things you can’t leave the house to do, if those are options for you. Everyone needs to keep their strength up so healthy meals are necessary. While Blue Apron and Hello Fresh save time with deciding on meals to cook and shopping for food, there’s still a lot of chopping involved and pans to clean. The extra work might just add to your stress and exhaustion. Other options are to have soup or salad and sandwiches, a pre-made healthy casserole, or a letting a friend or family member bring a meal over. These days you can get your groceries delivered. And there are even delivery services like Favor and UberEats that will bring you your favorite healthy take-out meal, if getting out isn’t an option. And you can prepare ahead of time like putting together the coffee pot, breakfasts, and lunches the night before, so in the morning it’s flip a switch, eat your breakfast, and grab your lunch. A little bit of preparation goes a long way to eating healthy and reducing the temptation of grabbing a donut or fast food. While sneaking away for an hour long massage may not be in the cards, perhaps a 20 minute epsom salt bath will help relieve those aching muscles. This may just rejuvenate you and give you some relief so you can carry on the tasks at hand. No matter how exhausted we are caring for loved ones, somehow we manage to survive, bounce-back, and thrive. It’s like Bob Marley said, “You never know how strong you are, until being strong is your only choice.” That is how this fibromyalgia body feels. As much as this elastic rubber band is stretched, somehow I always bounce back. While my fibro-flares can be quite exhausting, I somehow push through to the other side. Living with fibromyalgia isn’t easy. Taking care of a loved one with a chronic condition, someone recovering from surgery, a newborn infant, or an aging parent isn’t easy. Let’s face it, life in general isn’t easy. With a few key strategies, some patience, compassion, and resiliency, you can survive, thrive, and even come out stronger on the other end. Have you had to care for a loved one while suffering from your own chronic condition or pain? Do you have other strategies to add to the list? So true, though! The post adrenaline crash is a killer.